Front office staff was incompetent - got the birth date wrong and sent a prescription to the pharmacy without physician'ssignature. Front office staff was incompetent - got the birth date wrong and sent a prescription to the pharmacy without physician's signature. The staff seemed very unorganized didn’t really know what they were doing , one girl did the rest seemed lost. Andthe paperwork the Dr. told them to give me I actually had to go back and ask for it because they didn’t give it to me . And before I came they told me they had my registration papers and when I got there they said they didn’t know where it was ? i really like the doctor but his staff needs some fine tuning . The staff seemed very unorganized didn’t really know what they were doing , one girl did the rest seemed lost. And the paperwork the Dr. told them to give me Iactually had to go back and ask for it because they didn’t give it to me . And before I came they told me they had my registration papers and when I got there they said they didn’t know where it was ? i really like the doctor but his staff needs some fine tuning . 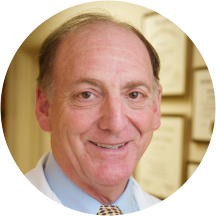 At Sidney M. Fishman, MD, FACS Inc, we recognize that you have a choice when it comes to your preferred ear, nose and throat specialist (known as an otolaryngologist). That's why we want you to be as informed as possible about our practice; ear, nose and throat related health issues; and treatment options. We've created this information-rich website to give you 24/7 access to an array of the most common ear, nose and throat topics. The more you know, the more comfortable we hope you and your family will be with our otolaryngology practice. On behalf of Sidney M. Fishman, MD, FACS Inc otolaryngologists and staff, we welcome you to our practice and look forward to helping you and your family preserves a lifetime of good health. We also invite you to email or call our Los Alamitos office at any time to request an appointment or ask any questions. Sidney M. Fishman, M.D., Inc. Experienced and professional. Office is a well oiled machine. This appointment went well but I did not see Dr Sidney Fishman MD. I was seen by a different Doctor in this office. Dr. Miller was great. Seemed genuinely interested in my condition and offered several forms of treatment. Office staff was pleasant and helpful. Standard healthcare wait times - be prepared to sit for a while before you are seen. No complaints here! I would not recommend this office to anyone. I originally scheduled this appointment a month in advance and got a call confirming my appointment. The night before they called me at 5:30pm telling met that I had to reschedule my appointmentfor the following afternoon because the doctor does not see patients at 4:45pm even when they had the opening and confirmed with me weeks in advance. I called the next morning and they scheduled me for 3:30pm that day. I arrived at 3:15pm to complete my paperwork, which was done by 3:30. They had me wait until 5pm to actually get into the room and see the doctor only because I had gone up to see what the issue was. There was no major issue, but the doctor had more important patients ahead of me to see. I did not get out of the office until around 5:10pm only because the doctor spend 5 minutes with me. He did not have any pleasantries or even offer to shake my hand, just a gruff I'm your doctor. His hands were freezing and he was extremely rough when he treated me and did not ask if he was hurting me at all. He was likely the worst ENT I have ever seen and I have been seeing them for over 15 years. I would never recommend this place to anyone. Dr Todd Miller MD took over Dr Sidney Fisherman's Practice and is upholding the 5 Star Rating. Easy to Talk and Transcribes All your Verbal Information before Physical Examination via Lighted Stethoscope. Enjoyed his Professional Recommendations. It was exactly what I needed. Very professional and knowledgeable. Felt very comfortable with the doctor and he took the time to explain everything to me. If you're a singer or speaker he is definitely the doctor to visit. I saw Dr. Miller, he was great. I did not see Dr. Feldman but was given to Dr. Miller who was terrific. Left his office feeling better. Highly recommend Dr. Miller. Dr. was running late. The office was extremely disorganized. I told the Dr. I had a sore throat and he did not swab me. Instead he prescribed me with high strength antibiotics that have a wide range of side effects. Aftergoing to this Dr. I feel like my illness was not solved and I have to start over by going to a different Dr. tomorrow. I do not recommend anyone to see this physician. Professional and knowledgeable. Zeroed right in on the problem. I was thankful to be seen right away as a new patient. The support staff were very courteous. Dr Fishman though curt was professional, competent and addressed all my concerns. Only negative comment is I had to wait a long timewhich could be simply because I had the last appointment of the day. Either way thanks for seeing me today and you have a really nice team working with you. Hopeful.... i want to be free of facial, neck, head, pain. Dr. Fishman was reassuring when he said we will figure it out!! Hope so!! 35 years of this and it is getting worse!! I've been to Dr. Fishman about 4 times now. I would highly recommend him for excellent care. Wait times for me have varied (when it's been busy, I've had to wait more than 30 minutes, but other times, the wait hasbeen less than 5 minutes). The nurses and office staff are efficient and professional (friendly, but not overly chatty, which is a plus for me). Both Dr. Fishman and his staff listen to my questions and answer respectfully. Nice office and staff. A little stronger bed side manner is recommended. Great! He was very thorough and made me feel a lot better about the symptoms that I was having. Speedy appointment, too! The girls at the front desk are also super nice and helpful, making the visit from making my appointment to leaving the office. It was very helpful what he did help me with the ear pain I hope the medicine he gave helps. I thought it went well. All the staff were helpful from check-in, getting situated and checkout. Dr. Fishman was very professional and kind. Very straight to the point, which I appreciate. Efficient and recommended further testing for my vertigo symptoms. Will see again. There's a $3 minimum parking fee. The doctor seemed knowledgable and the staff polite. No complaints other than the 25 minute wait. I was very pleased with the visit to Dr. Fishman's office. He was very knowledgeable and did extensive testing regarding the issues I have experienced. The only drawback was about 30 minute wait in the waiting room. Great MD, to the point and very detailed when it came to the symptoms I was experiencing. Dr. Fishman always takes care of my sinus discomfort. Greatly appreciated. Too many patients at the same time so I waited long to be seen by the doctor. The doctor saw me for about two minutes only. He seems in a hurry. Dr Fishman's team was top notch! New addressL 3851 Katella Ave (not 3801). They moved 3 days ago and although they were experiencing minor glitches, my service was spectacular. Dr Fishman quickly diagnosed my problem and clarified what mayhave caused it. I would highly recommend Dr Fishman and his team. Very through and helpful. He caught an infection that was missed by other Dr. Spoke clearly for my mother - in- law who has hearing loss. The staff was very pleasant. I was in and out and did not have to wait very long at all. The Doctor was very thorough and knowledgeable with good bedside manner. I felt very comfortable. Brief meeting with Dr. to evaluate me on first visit. Basically set up some tests and an outline of the approach to be taken for my condition. I would go back for another visit. I would tell a friend. Billing for procedures that were not performed. Filing complaints with fraud department and whatever government organization I can find. Doc Fishman is a great doc, the wait however was ridiculous. The visit was pleasant and relaxing.The Dr. Listened and addressed all of my concerns. It was rushed and didn't feel comfortable. very thorough exam. very limit wait time in exam room, less than 5 minutes. office staff very efficient and well-trained. Knew my questions before I did. took care of other appointments and insurance fast, thorough and explained everything. Besides being over a half hour late, even though there were no other patients in the waiting room, Dr. Fishman revealed himself to be fairly grumpy (I have hearing issues I'm seeing him for, but he was irritated when he hadto repeat himself once). He appeared impatient, disinterested and unsympathetic when I had questions or offered background info on my issue. He did not ask me if I had any follow up questions and was generally unreceptive to my minimal input. Generally I like doctors, my father is a doctor and most ive been to have been great. This ENT physician had one of the worst bedside manners I've come across. Seemed very burned out on the profession. That said, he was successful in removing a great deal of wax from my left ear. I'll go elsewhere for my aural exam and follow up, though. Very good experience. Personable and intent on helping me with my problem. He is a wonderful doctor and has a lovely staff. However, the time entering and exiting the office is mostly quite lengthy. Dr. Fishman comes across as a bit gruff, especially when the office is busy, but it is apparent that he cares and is highly competent. I therefore rate his bedside manner as excellent. Really knows his stuff, and focused on the problem better than any ENT I've been too.